Background - Decking area in a residential garden. Project - A landscaping company where tasked by their customer to provide a decked area to make the most of the outside space. 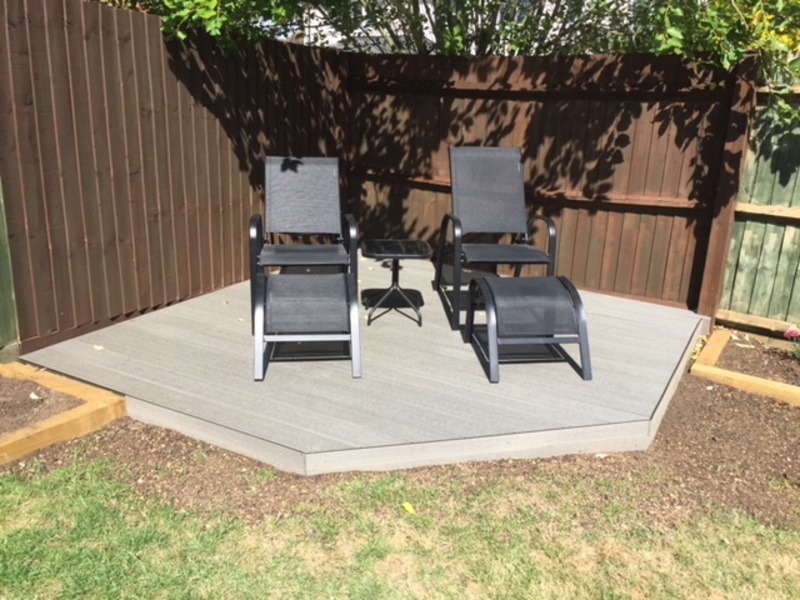 Solution - Decksafe provided the composite decking and edging boards to create a contemporary, hard wearing, low maintenance design that is lightweight and easy to install.